Customer will be contacted to arrange freight shipping. Set includes a 24’ x 24’ stage that is on a 2’ riser. Enough pads to cover the entire 24’ x 24’ stage deck and a 24’x24’ Dohyo ring cover with "zip-in" foam pads. 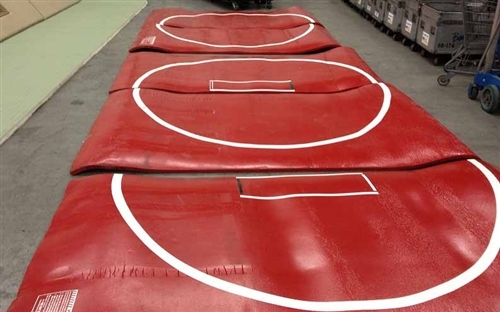 Two foot padded end covers extend another 21” from the side of the ring providing padding and steps and 4’ x 30’ roll out pads cover the floor around the ring. 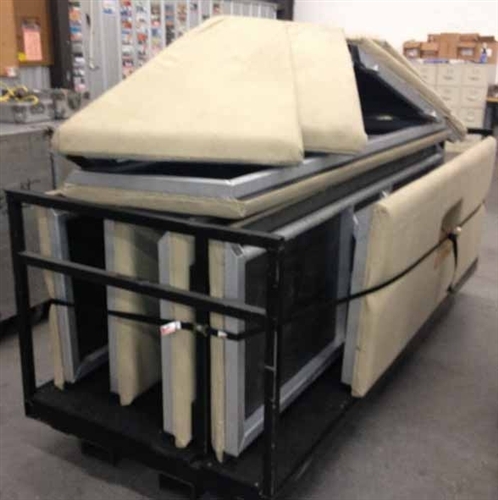 Set is a professional touring grade complete with Set carts for easy transport of all of the gear.